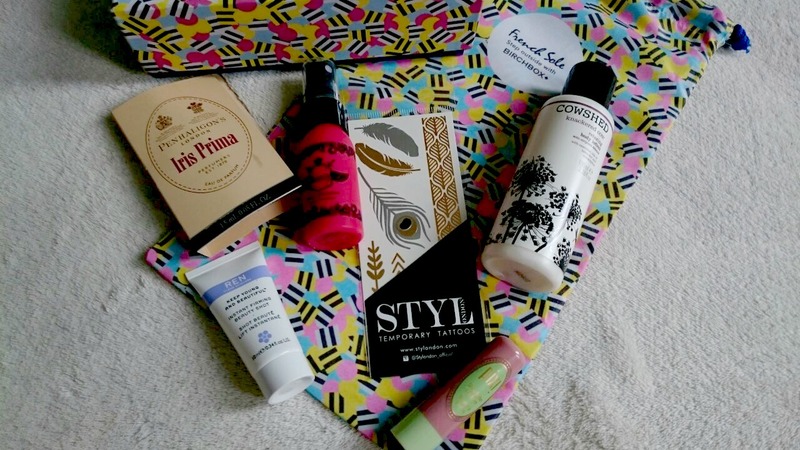 I love the time of the month when my Birchbox arrives and after seeing some sneak peaks on Birchbox's Instagram account I was really excited for their collaboration with French Sole, the go to place for pretty pumps. That was until I opened the box to one of this years most disappointing boxes. Repeats, perfume samples and a body lotion that smells like Sudocrem, not that thrilling. 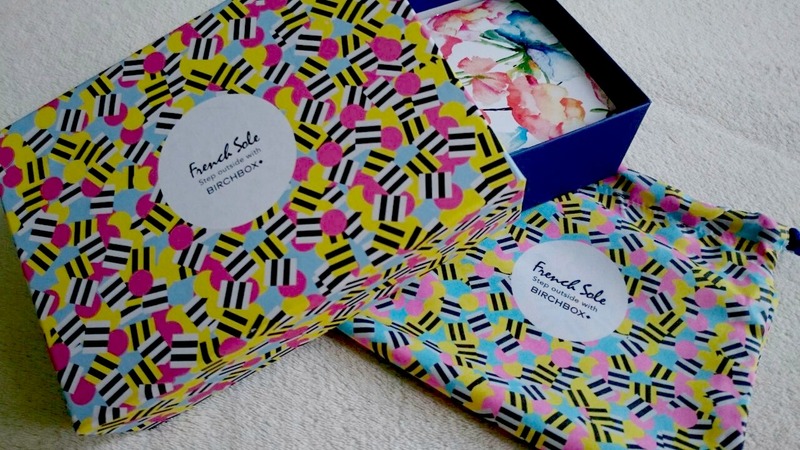 I was expecting so much more from a collaboration with French Sole, maybe a style guide, 10% discount code or at least some products in relation to feet because lets be honest how many of us are really going to use the shoe bag for actually putting shoes in?! At first there were only two products that I was interested in trying, the Ren Instant Firming Beauty Shot. I'm a huge fan of Ren skincare so I'm looking forward to using this more, I've had a little nose at some reviews and they're all really positive. I've only used it once so far but it smells pretty good. I've turned my nose up at Style London temporary tattoos for months but decided to put a little one on my wrist and to be honest I'm a bit of a convert which I never thought I'd say. They're quite subtle and I'll definitely be buying some more but not at £7.99, I'll be picking mine up in Primark for £1. The Beauty Protector Protect & Detangle was the second product I was interested to try as it has so many fantastic reviews. I can't put my finger on the smell of this but it is incredible, I can't stop smelling my hair. I get tangles at the back of my head especially after washing, chuck in this spray and a Tangle Teezer and you have a match made in heaven. It's also non greasy and leaves your hair feeling like you haven't used any product. The next few products is where it goes downhill. I don't like perfume samples in subscription boxes and the only two perfume samples I've received in previous boxes have smelt like the elderly and Iris Prima is no different. At least they've got one thing right with Iris Prima, it definitely smells like a night at the Ballet. Next up is the Pixi Shea Butter Lip Balm which was in the October Birchbox, yes it's a nice lip balm but I don't need another. At least it's a different tint! Lastly is The Cowshed Knackered Cow, a relaxing body lotion with lavender and eucalyptus which smells of Sudocrem. I do like Cowshed products but a body lotion is a safe product and one I'm sure I've received in another box last year plus I'm not overly keen on smelling like a babies bottom. 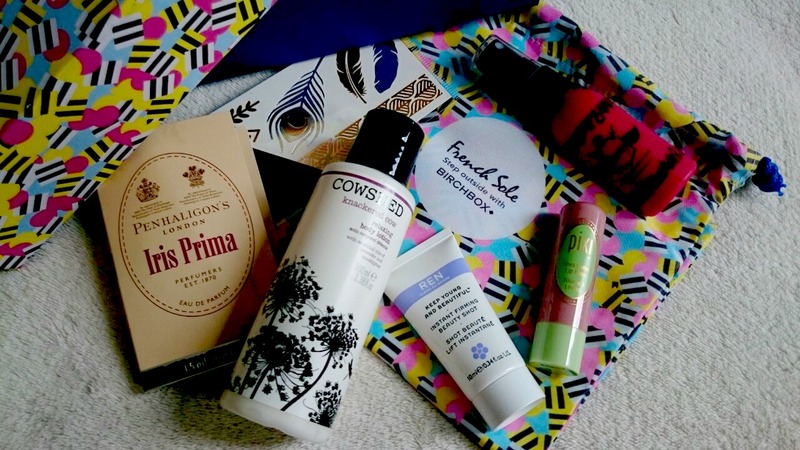 For a box based on a British Summer, I'm not impressed, I usually love my Birchbox so I'm hoping next months makes up for a disappointing June box.